I'm playing with iOS, Rails and more. 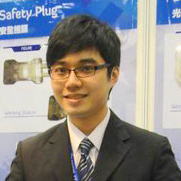 I'm Lihsuan CHEN (陳澧萱), a software engineer who came from Taiwan (台灣). I am a user-care engineer, creating workable products is not enough for me, but creating fun, well designed and enjoyable products do. Project Related which enhancing my works. Sidekicks others in my blood. Video player UI and interaction. Live video streaming, using HLS. Chat room, using web socket (Signal-R). Resbonsible App structure, UI engineer, LBS features development. An app to let users to resolve missions and get awards. Resbonsible iOS app development, iOS UI engineering, iOS API with inhouse web service. An app to let users to share their reading experience of books, to schedule book clubs. Resbonsible Product planing, iOS app development, UX. The official app for PHPConf Taiwan 2014. An 3rd party shopping assistant app for Costco. An open source iOS SDK for the Taipei City mayoral candidate 柯文哲's open data API. A scanner and members management app for the Passbook service iPASSbank. Bachelor of Business Administration, Department of Information Management.